Vita Perfetta Marbling is extreme party entertainment turnt all the way up! 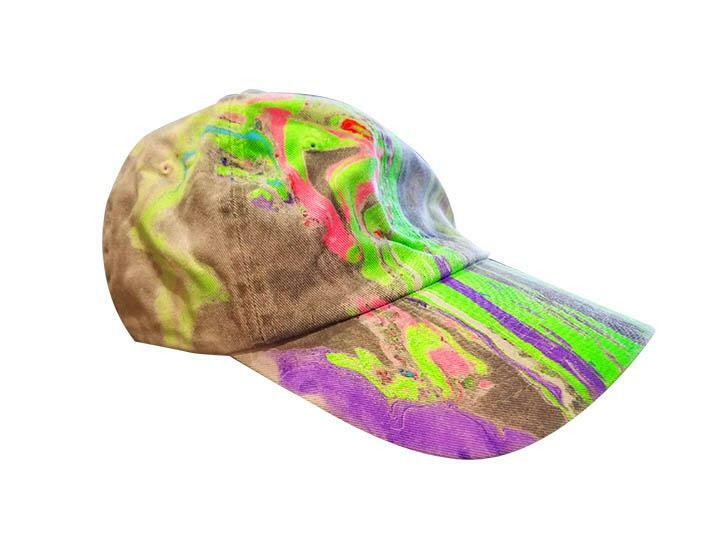 It’s the hottest new trend in summer festival style and you’ve never seen anything like it. 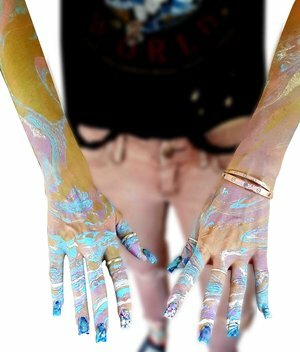 Your body is the canvas with this cool water marbling technique. 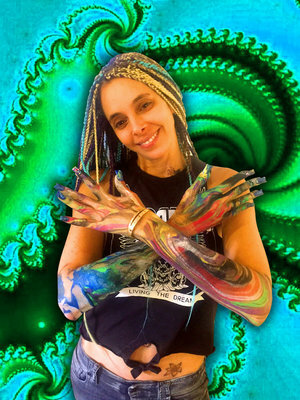 Be amazed as the bright colors swirl and party guests are transformed into a psychedelic works of art. Each design is unique. Whether it’s a hand, arm, or full sleeve, it takes less than a minute and washes off easily with soap and water. Having a black light or neon party? You’ll love this glow fun that lasts all night long. Vita Perfetta Marbling is wild style, amped all the way up! 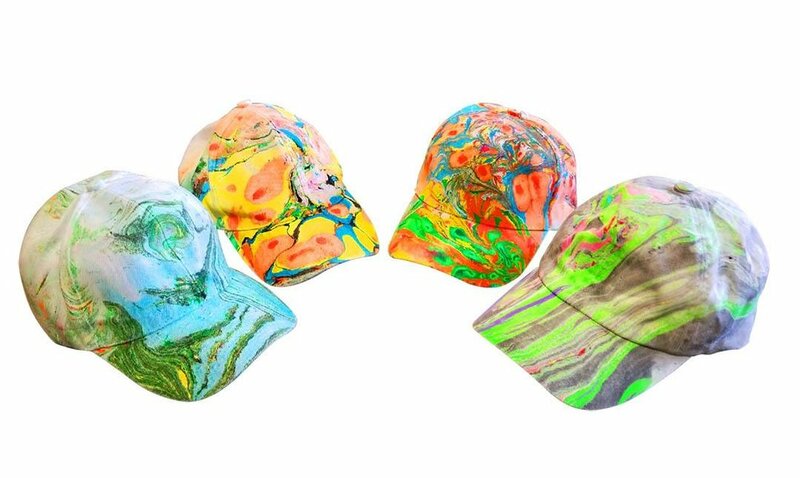 Funky art meets fashion with Vita Perfetta Water Marbled Hats. 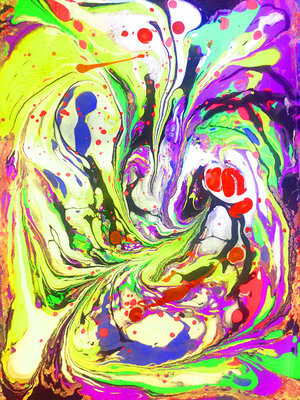 Marbling is the art of designing striking, kaleidoscopic patterns with paint and floating them on water. 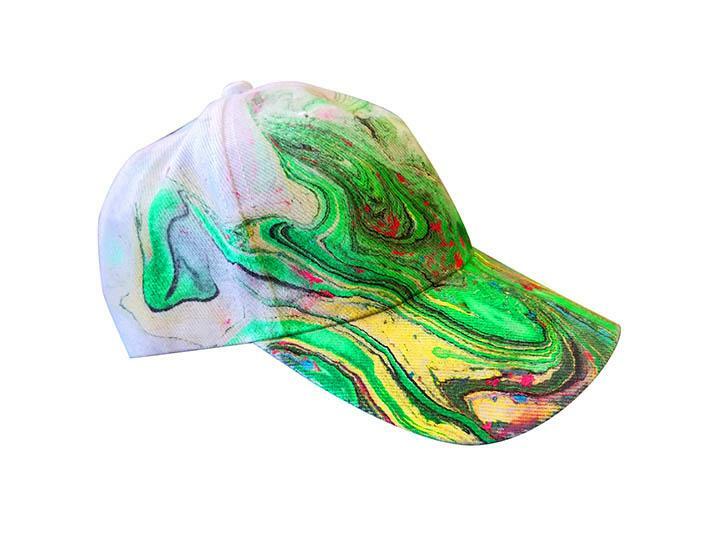 Our artists use the brightest pigments to dip our premium snapback hats into this marbled magic. 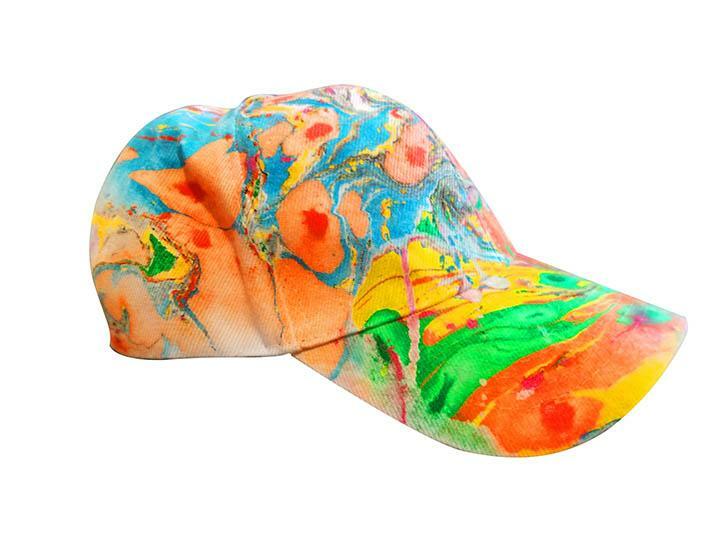 Have us premarble the hats and we can then create custom airbrush art adding that extra special element. Funkify your style with this hot new service. 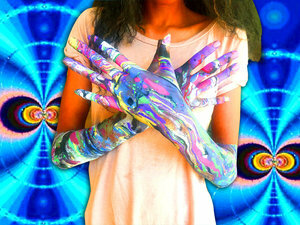 Vita Perfetta Water Marbling is the newest thing in party fashion!